Here's the best I could find from Poland. Stretching from 1968 to 1979, it's turned out to be another impressive array of unique hard rock, prog and psych from a country where it was not easy to make rock music in the period. I found a good article regarding communist censorship here. There's a couple of bands that appeared before on the East European comp Vol41, and the rest are all-new to TDATS. In a recent update, I have now concentrated on that part of the world again and made a volume about Serbia; 120. The cover art here is 'Leshy', a woodland spirit in Slavic mythology who protects wild animals and forests. I have since been shown a front-page scan here of the 1906 art nouveau magazine where the image comes from, if anyone can enlighten me as to the magazine, or the artist, drop me a line! Exodus was a symph-prog band from Warsaw that released its first album in 1980, but the track here was recorded in 1977 and included on 'The Most Beautiful Dream - Anthology 1977-1985'. Budka Suflera are a prog band from Lublin that made some heavy stuff early-on but soon became more commercial. The track I used here is an early recording of a later-released track and this is the heaviest version. Many thanks to Paweł at the TDATS fb group for showing me this one! Czesław Niemen (born in a town called Staryya Vasilishki which used to be Polish but is now in Belarus) was an important and very productive figure in Polish prog. He made many albums from the late '60s onwards. This track is taken from his fifth album (1971) variously entitled "Red Niemen", "Niemen", "Niemen Enigmatic" or "Czlowiek jam niewdzieczny (I am an ungrateful man)" in different releases. This is the hardest-rocking of his records and probably the best one for TDATS fans to start at. Another interesting fact is that Czeslaw's supporting band in some of the the former albums went on to become a famous prog band in their own right, SBB. They appear on here too. Warsaw's Breakout started life as the psychedelic band 'Blackout'. They became Poland's premier blues rock band and made many albums through the '70s. They had a singer called Mira Kubasińska and she made a couple of solo albums in the early '70s with Breakout as her backing band. I have used a song of Mia's for track 6, and the comp's closer is a Breakout track. Track 7 is some great funky jazz rock from Warsaw's Piotr Figiel, he made two albums that are very rare now. During my searches I found that jazz and funk were far more prevalent in Poland than hard rock! The previously-mentioned SBB (aka Silesian Blues Band, "Szukaj, Burz, Buduj" or "Search, Break, Build") comes in at track 8, it's an awesome heavy jam, filled with growling fuzz, jazzy drumming and expert wah guitar. Dyskoteka is available as a bonus track on re-issues of their 2nd album, "Nowy Horyzont". 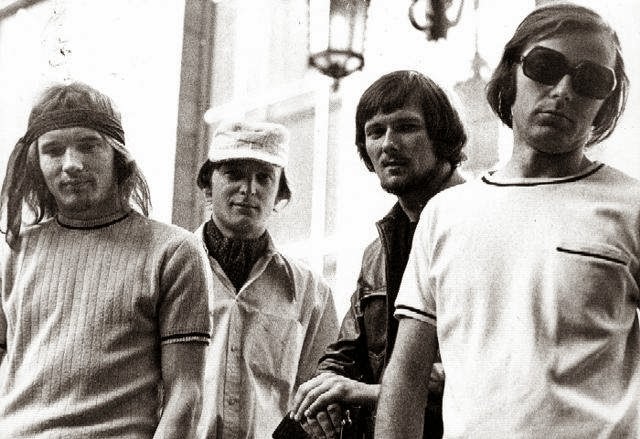 Gdańsk's Niebiesko - Czarni were a pop band that became more psychedelic and progressive as time went on. I have used their cover of Hendrix's Purple Haze, which was included on a 1968 four track EP. It's a great reinterpretation, the novel differences between this and the original may be intentional, or may be due to their inability to play it accurately, I'll let you decide! I found this on a comp of Polish beat called "Working Class Devils". In 1972 Niebiesko - Czarni made one of Poland's first double-LPs, a very adventurous rock opera called "Naga" (Naked). It used a lot of orchestration and I found a great track for the orchestral psych comp that's taking a while to make! The tracks I have used from Grupa Stress and Wrocław's Romuald I Roman are both taken from archival releases that were recently issued by Poland's national publicly funded radio broadcasting organization, Polskie Radio. Neither band made albums, although Romuald I Roman did get an EP and a single out. Grupa Stress is the real hard rock hopeful here, and there's a few really heavy tracks from them. Romuald & Roman were more psychedelic. Here is some information, taken with appreciation from http://www.adambaruch.com/ :- "This album compiles archive material by the Polish Rock group Romuald I Roman recorded by the Polish Radio over a period of several years, covering the group´s history from its formative years to its ultimate demise. The fact that these recordings exist at all are a miracle and since the group never managed to record an album they are the only source of material that tells their story. 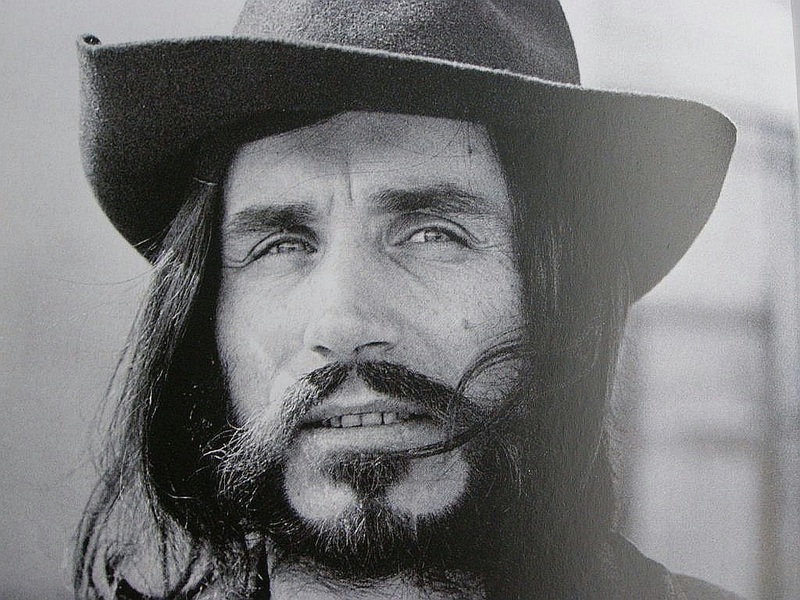 In the late 1960s and throughout the 1970s Polish Rock suffered from extreme limitations enforced upon the music and the artists by the Socialist regime, which considered long-haired and bell-bottom jeans wearing musicians as enemies of the state. Therefore many Polish Rock groups never managed to record even one album on the state-owned record label, especially if their songs were different from the Pop material considered safe by Government censorship. Luckily enough, the regime was also extremely bureaucratic and regionally partitioned, which allowed for some local sovereignty of some institutions, which was explored to the max by the Polish Radio, which had many regional studios and was able to record artists without asking too many questions. Thanks to the brave man and woman working at the Polish Radio all over the country many Polish Rock recordings survived the unsympathetic times against all odds. 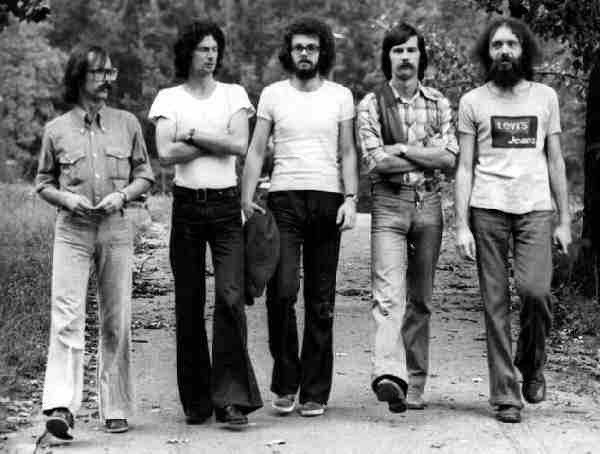 The band [Romuald I Roman] was formed sometime during the troubled days of early 1968, when Poland was shaken up by political unrest, demonstration and strikes, brutally quenched by the Socialist regime. The group´s founders: guitarist / vocalist / songwriter Romuald Piasecki and guitarist / vocalist / songwriter Roman Runowicz, both students at the time, met during a student strike and quickly merged their musical forces to create one of the early legends of early Polish Rock. They added a rhythm section (bass and drums) and quickly established a growing following performing many gigs around the country. Runowicz left the group by late 1971 and Piasecki continued to lead it under the same moniker until it finally disbanded in late 1976. These recording present the musical history of the group, which went through several phases like Psychedelic Pop, Hard Rock, Progressive Rock and eventually even Jazz-Rock Fusion. Their material was very ambitious and involved a significant element of live improvisation, which of course was most evident during their live performances. Although the sonic quality of some of these recordings is not perfect, the music is excellent from start to finish and provides a wonderful glimpse into the past, serving as a fascinating document of Polish Rock history. Definitely a must to all Polish Rock fans both in Poland and anywhere in the world. Highly recommended!" 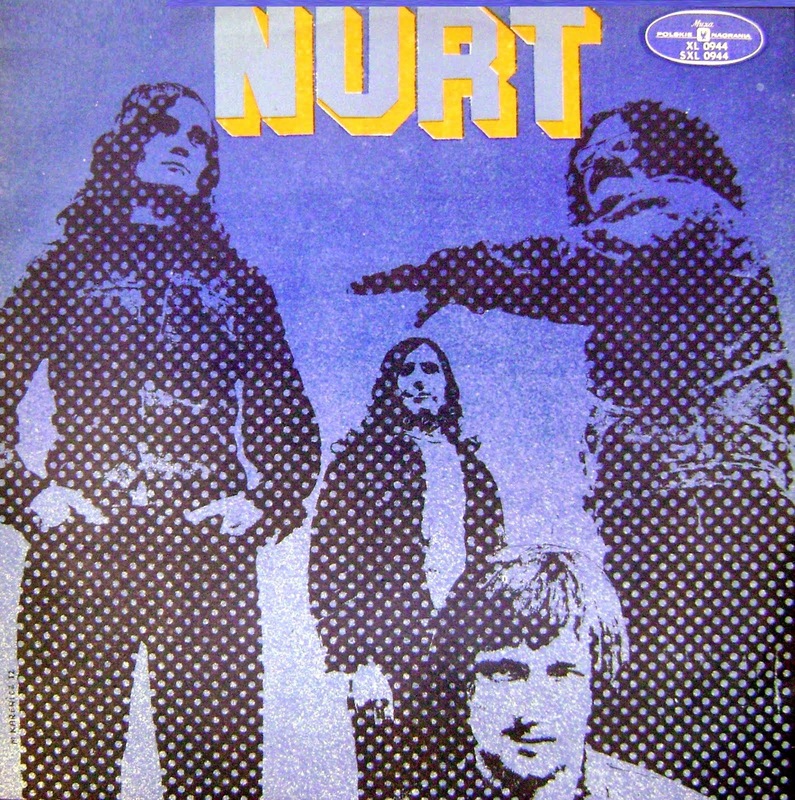 Wrocław's Nurt made one album in 1972, and an archival second release appeared last year. "This is the criminally long-overdue reissue of the only album recorded by the legendary Polish Rock group Nurt. Founded in Wroclaw in 1970 by guitarist / vocalist / composer Aleksander Mrozek, it also included bassist Kazimierz Cwynar, drummer Ryszard Sroka and vocalist Waldemar Domagala. By the end of 1971 Domagala was replaced by Roman Runowicz, who was previously a member of the no less legendary group Romuald I Roman. The group performed extensively in the early 1970s but managed to record only one eponymous studio album in 1972 for the State owned Muza label and several Radio recording sessions." Warsaw's Test was the heaviest hard rock band in Poland to produce an LP in the '70s, and one of the only ones too! Their 1974 s/t album has the heaviest, Deep Purple-inspired, hard rock that you're going to find from the country. To finish the volume of TDATS I will use some more information from http://www.adambaruch.com/ :- "This is the only album by Polish group Test, founded and led by vocalist Wojciech Gassowski (previously with ABC), one of the greatest representatives of Polish Rock scene in the early 1970 and the first Hard Rock group in the country. The group included the talents of the great lead guitarist Dariusz Kozakiewicz (immortalized by his extraordinary performance on the "Blues" album with Breakout). Test´s instrumental sound was based on organ and brass instruments in addition to the usual lead guitar / bass / drums present in all groups at the time. In retrospect this music represents some of the best sounds of the incredible Polish music scene at the time. This expanded edition includes also the group´s early radio material. Wholeheartedly recommended!"